We are one of the leading sourcing company for Home Textile Products, We are the agent of many textile mills in MADE UPS (Plain, Dyed, Yarn Dyed, Printed, Embroidery, Dobby & Jacquard) . 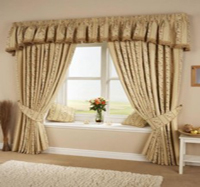 Worldstar Textiles being the leading company working as buying house for many customers is excelling in all products of home textile. Our product covers, Domestic, Commercial, Institutional, hotel and hospitality industry. Material: 100% Cotton & Poly cotton (White, Dyed & Printed). 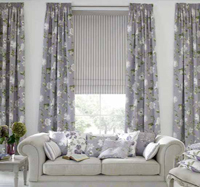 we have very good collection of the top linen manufacturers, who are producing top A grade home textile products. The entire satisfaction of our buyers around the globe. *Bed Sheet sets (SIZES: Single; Double, Small, Queen and King Sizes). * Thread Range T-120 upto T-400 and even more. *Flat or Fitted sheets, Bed Spreads, Bed Covers. * Pillow Covers & Cushions. 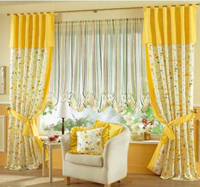 •	Commercial Textiles for Hospitality Industry Full range like Linen Sheets, Pillow Cases & Bath, Face, Hand Towels, Tea Towels etc for Hotels, Motels, Hospitals, Commercial Laundries and Retirement Villages..
B) Curtains with flocking - back coating, print, dyed & Jacquards. C) Embroidery with different fabrics like Taffeta's - Faux Silk ( imported from China) along with Multi head embroidery machine work. D) Special finishes like Water proof, Non iron, Actifresh / Actiguard ( antibacterial - anti dustmite / Fungus finishes), Fire proof,(AloVera/perfume finish ),Peach Finish. 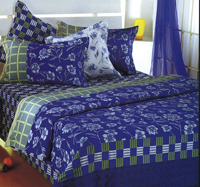 Pakistan is one of the leading exporters of Home Textiles / Made ups. 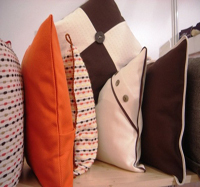 With our strong technical team and quality controls, we are exporting Home Textile products to our different clients. 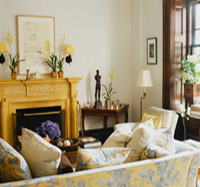 We focus on Quality controls and pricing. Our product Ranges are suitable for Motels and up to 5 Star Hotels, Commercial Laundries, Retirement Houses and Health Institutes.